Starfish for rarefied gas/plasma flows. Image from Particle in Cell. FE-DESIGN released TOSCA Fluid 2.3.0 for fluid flow topology optimization. This new version has an enhanced GUI, shorter computation times, and improved reconstruction of the final design. Particle in Cell completed development of a new 2D rarified gas/plasma solver called Starfish. MicroCFD version 1.8 now supports multi-core CPUs and NVIDIA GPUs for improved performance. Registration is open for NAFEMS North America Conference ’12 to be held in Washington, DC on 11-12 September. The event will include several CFD-oriented sessions and seminars. The 9th Conference on Differential Equations and Computational Simulations will be held 4-6 October 2012 at Mississippi State University. The preregistration deadline has been extended to 7 September. Simulation Works, maker of the KUBRIX mesh generation software, has been acquired by Itasca Consulting, consultants and software providers to the geomechanics, hydrogeological, and microseismics communities. NASA’s Technology Transfer Portal is your starting point for adding NASA technology, including CFD, to your company’s portfolio. Results from the 1st AIAA Aeroelastic Prediction Workshop are available online. IDAC shares this video of synthetic external flow vorticity generation. There’s a job opening for a mesh generation software developer in the Seattle area. 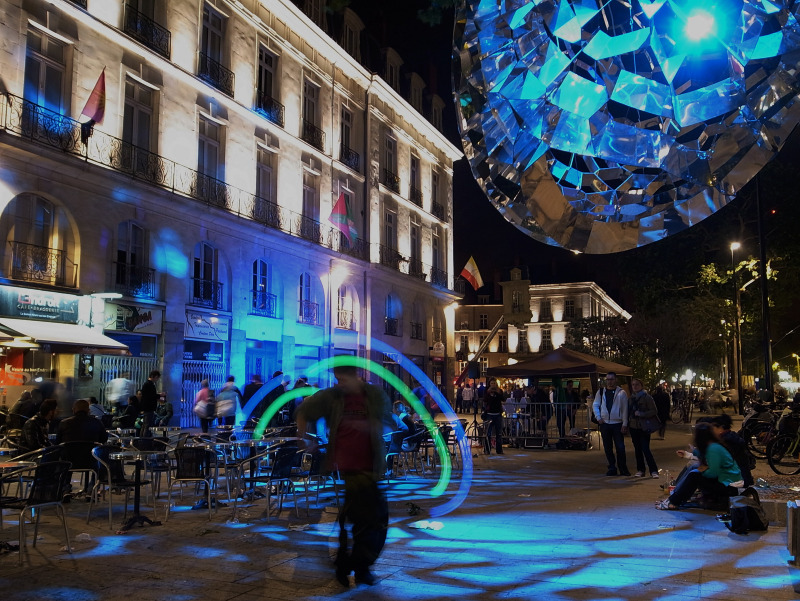 A Voronoi polyhedra on an ellipsoid decorated Nantes, France this summer. Read more about the concept behind this piece and see more photographs of it including its construction. This entry was posted in Applications, Events, News and tagged CD-adapco, FE-DESIGN, jobs, Khamsin, KUBRIX, MicroCFD, Siemens, TOSCA. Bookmark the permalink.